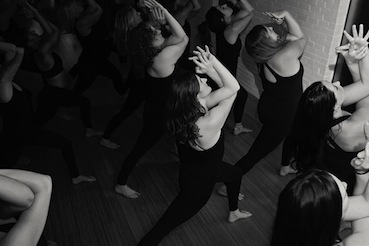 Click the link below to learn more about our class passes and unlimited yoga options. Join Chelsea Smith, Jasmine Bruce, and Deanna Baron for a 2 hour yoga bootcamp to challenge and relax you in three different styles of yoga. We’ll begin our warm up with 30 min of Core with Jasmine, then challenging the body even more with 45 min of Modo Flow with Chelsea and finishing off with a relaxing 45 minutes of Yin Yoga with Deanna. This is a studio favourite that always fills, so save your spot now! Do you have tension, or limited range of motion in your back, hips or shoulders? Come learn how to use the RAD roller tool to massage out tight spaces in your body, and experience freedom in your movement! Pre-purchase in our online store or in person at the studio to guarantee your spot! Yang yoga is an active practice using dynamic movements to strengthen your muscular tissues. Yin yoga is a passive practice utilizing postures and gravity to lengthen your connective tissues. Join Jennie as she takes you through a strong active vinyasa practice paired with a gentle nurturing yin practice. Alongside Jennie’s guidance will be a LIVE DJ. Her husband Dean will be spinning soothing beats for your mind, body and soul. This yoga passage will cultivate an introspective focus allowing you to dissolve external distractions and move to the source, your internal truth. After practice enjoy a fresh cold-pressed juice from GLOW JUICERY to nourish and replenish your system! Spring is an invigorating time of the yearly cycle. According to Traditional Chinese Medicine, spring is a key time to plant seeds, bring clarity to goals, reconnect with your purpose and establish clear direction. In this workshop, you will learn how to harness spring energy and incorporate self-healing practices specific to this time of year. This workshop will support practitioners in increasing their harmony in spring and with nature overall. advocate. Heather Gazley is a Registered Acupuncturist, Educator and E-RYT 200. You will each be able to craft a silk take home flower crown and proudly wear them while you have a fun barre class to shake loose. Your children will have lots of fun with Teri-Dawn making some new friends while exploring Ballet and Barre. In this fun class we will be incorporating Ballet, Pilates, and Yoga into a fun, energetic kid approved Barre class. Your kids will shake their sillys out, have lots of fun and be filled with peace when you come to pick them up. There will be a little performance on the last day for all the mamas and papas. Join Teri-Dawn every Wednesday at 5:30 starting May 15 for 6 weeks of non heated prenatal yoga. All stages of pregnancy welcome! A source for overcoming obstacles and conquering fears. Working with a wall to support your physical yoga practice has tremendous potential to build flexibility and strength. In this 2 hour workshop students will be given beneficial insight to open hips, hamstrings, shoulders, deepen twists, improve backbends and gain the confidence for inversions. Practitioners will be offered fun strength work and therapeutic restorative postures. It will be a sweet balance between active/invigorating and the nurturing/healing. Join Jasmine in an exploration of working with the wall to enhance and restore. COME & HAVE SOME FUN GETTING UPSIDE DOWN! This challenge is a personal commitment to practice 30 yoga classes in 30 days. You may attend any class on the schedule, signing in for class at the desk in the usual way. 2 large posters will be put up featuring all the challenger’s names. Put a check mark or happy face up for each yoga class you attend! Participants regular class packages will be put on hold for the challenge. $150/$125students/$50 unlimited members (plus monthly contract fee) gets you a whole month to get your sweat on, workshop discounts, bragging rights of course, and a sweet 30 day challenge tank or tee! Those who complete 25 or more yoga classes get a coupon for 20% off any class package or product. Those who complete 30 in 30 get entered to win some amazing prizes! We are limiting the number of participants for crowd control. Purchase the challenge in our online store or register at the desk. *barre classes included in fee but don’t count towards the challenge. *there just might be a picnic party! !